I'm so excited to show you these!!! Lots of options and lots of style! Each of the first five sets is grouped together by design. Within each set, you can mix and match fronts and backs. Some of the sets are complimentary, so you can mix and match between sets, too. Want a flat card? Choose one or two sides. Want a folded card? Choose up to 4. Keep the orientation of the card in mind (portrait or landscape). Ideally, a portrait front would need a portrait back and so on, but if you just love a combo that is not the same orientation, I'll try to work the design so it that fits. Also, almost any card can be made into a 5x5 flat or 5x5 folded card. You'd be looking at cards all day if I had posted them all as 5x7's and 5x5's! Remember to let me know when you decide which card you want. Once a card is purchased, it is no longer available for this season. Everyone loved card exclusivity last year, so I'm bringing it back! These cards are not mix and match sets, but individual cards. 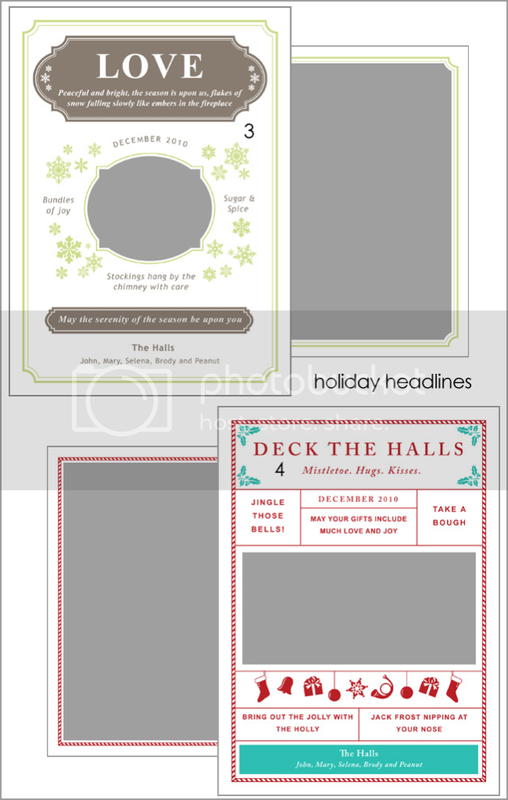 The first set is Holiday Headlines and there are 4 designs. 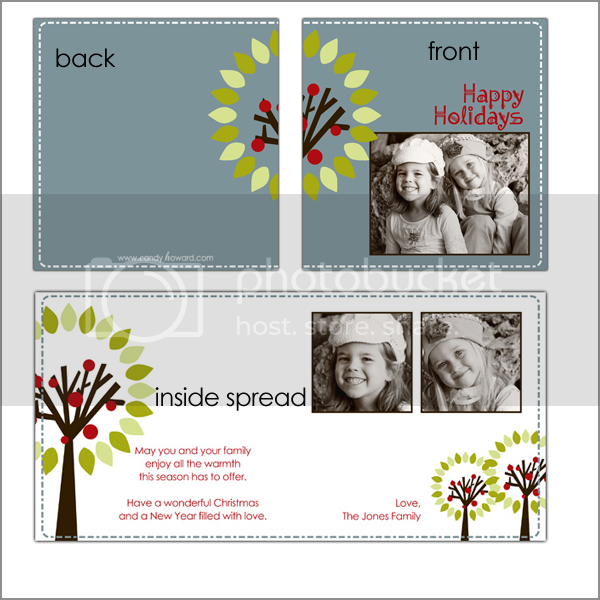 They are designed as 5x7 flat cards, but can be made into folded and/or 5x5 cards. 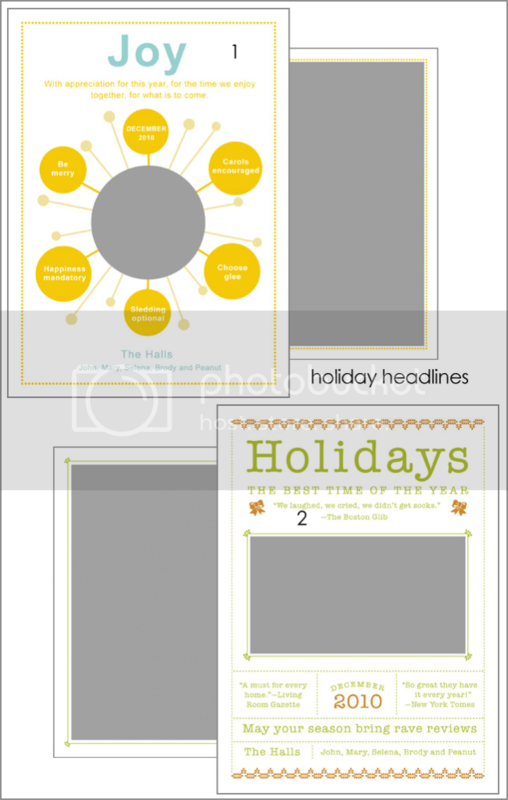 Order: Holiday Headlines and number. Oh my goodness! Look at these!! I just love these cards- the designs, the die-cuts! Love it all! Each card is numbered and has a set front/back combo due to the die cut. Order: Very Happy Holidays and the number. Love these designs, but don't want a die cut card? Here you go! They can be mixed and matched within the set. Order "Happy Holidays" and the numbers. Don't see a card you like? Previous years' cards are available. Just click on products in the menu on the left. My family cards from previous years are not listed, but they are available as well. 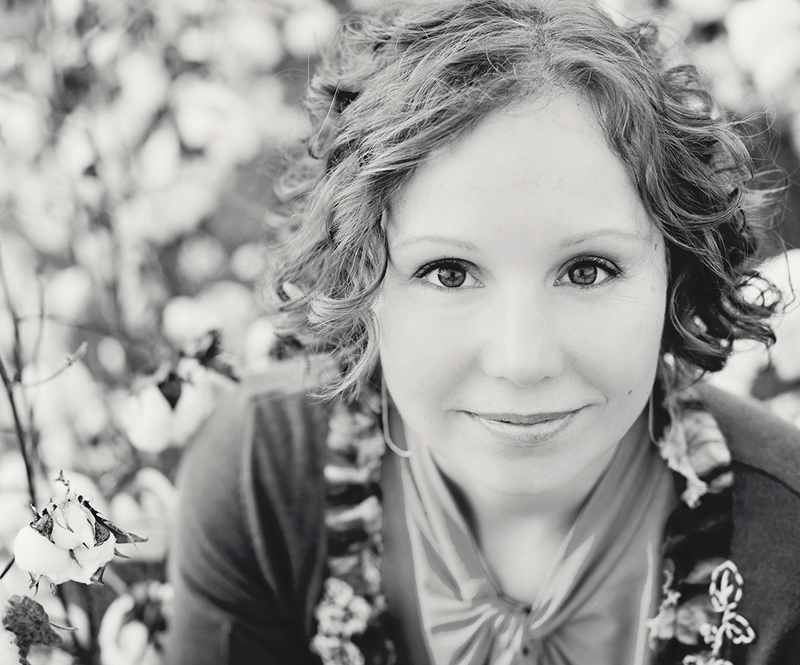 Custom design services are also available for an additional fee.